A prison mug shot of Anthony Garver, who's accused of torturing and killing a 20-year-old woman in 2013. In the summer of 2006, the House family arrived home to find the power cut to their secluded cottage in the foothills of Mount Spokane. Their security cameras had been snipped from their mounts and placed neatly on the ground below. Bolt cutters were left leaning against the house, and someone had broken in and made a sandwich, recalls Dawn House. "I think he was trying to send a message at that point," she says. "He was communicating that he could get into our house if he wanted to." The "he" she's referring to is Anthony Garver, whose family lived just up the road from the Houses. When Garver was about 15, his mother struggled with mental illness and his stepfather was in jail. So Dawn and Richard House, who've worked as pastors and social workers for the past 30 years, took Garver in as one of their own. The boy lived with the House family from 2002 until he turned 18, in 2005. During that time, Dawn House says she tried to correct what she considered quirky, but harmless behavior — listening to a police scanner, obsessively checking his watch, bragging about his weapons stash and tinkering with computers. For the most part, Garver, who also goes by Anthony Burke, abided by the rules, and his odd behavior began to disappear for a time. That changed in 2006, after Garver moved into his own place. His criminal record started to grow, and the young man, who endured domestic abuse and struggled with mental illness from a young age, began to threaten violence of his own. Within a decade, Garver threatened to kill his mother, stepfather, a federal prosecutor, a judge and Dawn House more than once. At one point, while in jail, he told other inmates about plans to bomb the Pig Out in the Park event and a Department of Social and Health Services building in Spokane, according to authorities. He pleaded guilty to a federal possession of ammunition charge (Garver is not allowed to possess firearms or ammo because he's been committed to a psychiatric hospital), and repeatedly violated his probation. In 2013, while he was a fugitive from federal authorities, Garver allegedly tortured and killed Phillipa Evans-Lopez, a 20-year-old mother in Lake Stevens, Washington. He was repeatedly found incompetent to stand trial for the murder, and in 2015 he was committed to Western State Hospital. By April 2016, Garver escaped out a first-floor window at the hospital. Because of the threats, each time authorities lose track of Garver, the House family goes into hiding. They've moved houses a total of four times since 2009. In August of 2017, Richard and Dawn House sued the state of Washington for its failure to keep Garver confined and to notify them of his escape. Dawn House says she only learned of Garver's 2016 escape from a friend in Western Washington. Neither police nor the hospital contacted her, she says. 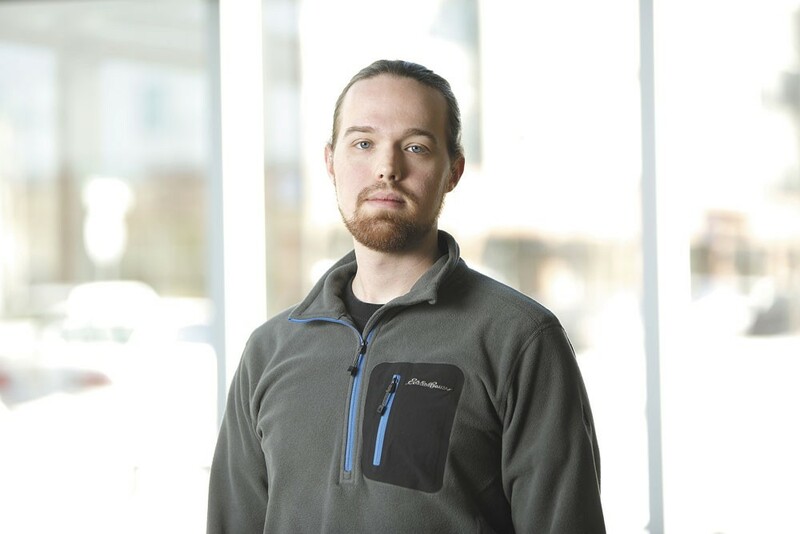 Now, the Houses hope the lawsuit will bring changes to a system that they believe failed to rehabilitate Garver from a young age, and has failed to keep track of him once his threats of violence grew more credible. Additionally, they're seeking damages for medical treatment and moving expenses from when they were driven into hiding. "We were trying to change the course of his life and mentor him and give him some sense of normalcy," Dawn House says. "I never thought too much beyond that until much later. I saw a soullessness inside him. There was an emptiness." Dawn House says Anthony Garver often bragged about surviving in the woods and stashing weapons around their home. In 2002, the House family moved to a home on Offmy Lane, an unpaved road that winds up into the foothills of Mount Spokane. If not for the cluster of mailboxes and a street sign high up on a telephone pole, you might miss the turnoff. By the time their moving truck rumbled up the hill and into the driveway, Anthony Garver was already waiting for them at the front door, Richard House recalls. At the time, Garver's welcome didn't seem odd. The skinny 14-year-old with curly hair was just being neighborly, Dawn and Richard House thought then. The boy even helped them unload. After that, Garver would stop by their house almost every day, Dawn House says, and she formed a relationship with him. He didn't seem to connect with their other eight children. "He was more my buddy. He always was," she says now. "But I've run youth groups, so it's natural for me to take in an odder teenager." Dawn House also began to learn a few details of Garver's tough home life, some of which are recorded in court documents. 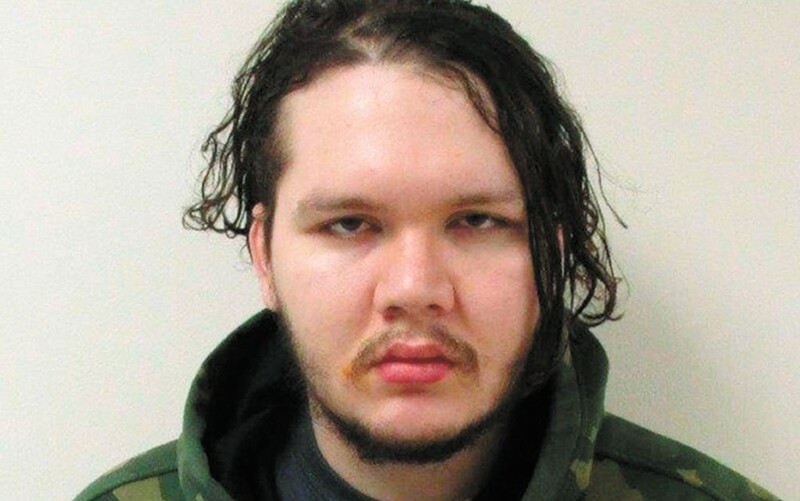 His mother, Taldja Garver, reported that as early as 5 or 6 years old, Garver would wake up in the middle of the night screaming and talking of seeing monsters and hearing voices telling him to stab his younger stepbrother, according to a psychologist's courtroom testimony. At age 11 and again at 13, he was committed to a psychiatric hospital. Reports of abuse from his stepfather surfaced as well. "His mother reported that he had been abused, beginning when he was 3 years old, and that his stepfather had been rough with him," psychologist Dr. Debra Brown testified in federal court. Dawn House says she heard stories of Garver's stepfather throwing hot pizza in the boy's face. Garver's mother, Taldja Garver, acknowledges that her husband was "very firm, very disciplinary," with Garver. She also recalls, though, how her son taught himself how to fix computers as a kid. He was constantly taking them apart and putting them back together. He also liked to ride his dirt bike and spend time in the woods surrounding their house. "He didn't have a nice childhood," she says. "Anthony has some mental issues, but I don't believe he's dangerous." 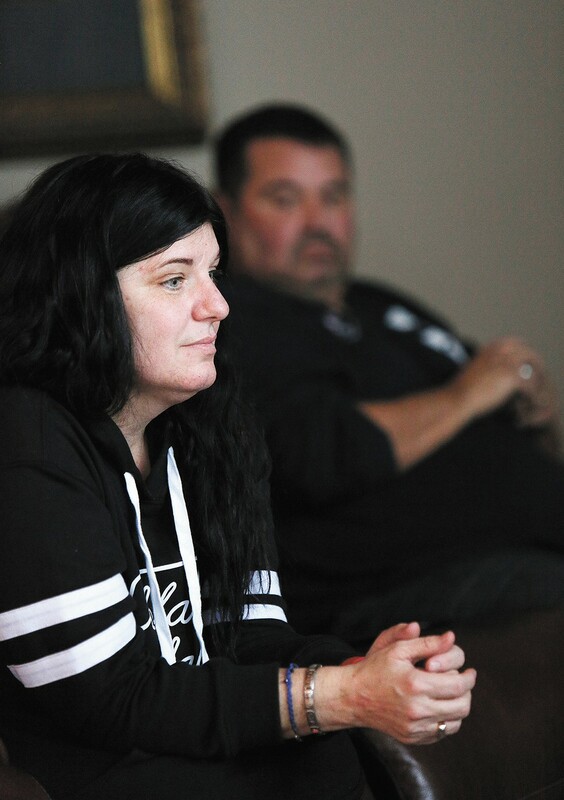 In a recent conversation Taldja Garver had with her son while he was committed to Western State Hospital, he expressed gratitude for the Houses taking him in. "She's the last thing on his mind," Taldja Garver says of Dawn House. "He wants nothing to do with her." For the most part, Richard and Dawn House say, Garver was a normal teenage boy with a few strange behaviors they worked to fix. Garver frequently spoke about weapons he had stashed throughout the woods, for example, and showed Dawn House knives, ammunition and a pistol, she says. He would brag about his ability to pinpoint anyone's location using computers, and he believed he was infallible, Dawn House recalls. He thought of himself as a survivalist and was proud of his ability to live off the land. While he lived with the Houses, things seemed to get better. Garver agreed to wear denim jeans rather than his typical camouflage. He stopped talking obsessively about weapons and even got a summer job. He took his prescription medication regularly, Dawn House says, though he fought it the whole time. As Garver was about to turn 18, when his ties to the House family would loosen, the odd behavior started to return, Dawn House says. She recalls a conversation where Garver expressed a desire to be remembered, even if it was for something horrific: "They'll at least know I was on this Earth," she recalls him saying. "I asked him one time, 'So Anthony, what happens if they fire on you?'" she says. "He said 'All the better. I should have never been born.'" The first time the Houses were told to hide was in 2009. It was dark when Dawn and Richard House pulled into their driveway with a car full of kids. They'd just returned from watching a fireworks display on the Fourth of July and were greeted by bright white police spotlights. They needed to stay in a hotel that evening, police told them. It wasn't safe to sleep in their home. Officers told the House family to pack a bag, but first, they had to make sure Garver wasn't inside. He'd been released from federal prison in California. He was supposed to take a bus to Spokane and check in at Geiger Corrections Center. But he never showed. It took authorities a month to find him, according to the Houses' lawsuit, and during the manhunt, Garver's brother told TV news reporters that "the only people his brother Anthony wanted to kill were Richard and Dawn House." Garver was eventually found hiding in the woods near their home with a 7-inch hunting knife. Federal authorities told the family that it would never again be safe to live on their secluded 13 acres nestled among the trees. After his capture, Garver wrote a letter to the judge: "I had great intentions when I was released from prison, but I became overwhelmed with anxiety," he writes in 2009. "Every single day I regret not showing up because I destroyed my chance to be free and to go to school, establish myself, and get it over with and move on with my life." The Houses had to uproot their lives again in 2010, 2013 and after his most recent escape in 2016 from Western State Hospital. In 2013, the Houses were moved temporarily to Edmonds, Washington, in Snohomish County. Within weeks, Garver was arrested less than 30 miles away in Everett and charged with the torture and murder of Evans-Lopez. Police found her body tied to a bed with electrical cords, according to court documents. She was stabbed 24 times, and her throat was slashed. "He will forever have the last moments of her life." "We have a suspicion of a possibility that because we went over to Edmonds, that maybe he could have known we were on that side of the state," Dawn House says. "That's when that woman was murdered." Garver's DNA was found on the electrical cords, and when police arrested him, he was using a laptop computer that belonged to Evans-Lopez's boyfriend, according to court documents. A folding knife in his pocket was stained red. Garver initially denied knowing Evans-Lopez. But when police asked about the blood-stained knife, he "smiled, repeated his denial and said 'I've told you everything I want to say,'" according to court documents. A crime lab DNA analysis confirmed that the blood on knife was a mixture belonging to Garver and Evans-Lopez. Kris Evans remembers her daughter as a free-spirited young woman with a heart for homeless people. Evans will never know for sure, but she suspects that her daughter was trying to help Garver. Surveillance video footage recorded days before Evans-Lopez's body was found shows the two ordering food in a McDonald's. Evans has nearly driven herself crazy trying to figure out how and why Garver ended up back at her daughter's place. Maybe he asked for a ride. Maybe he wanted to take a shower. "He will forever have the last moments of her life, and that's not fair," Evans says. "I'd like to know what happened, I'd like to know why, and what was said. I just want to know. But I've come to conclusion that I'll never know the answer to some of these things." Evans-Lopez had a 3-year-old son when she died. Evans says the boy doesn't remember his mother, but he knows she's in heaven, and he'll get to see her again, Evans says. For two years after his arrest, Garver underwent competency evaluations and was repeatedly found unfit to stand trial. In 2015, the murder charge was dropped, and he was civilly committed to Western State Hospital. In April of 2016, Garver and another man escaped from the hospital out a window that other patients said had become so loose it would whistle in the wind. Garver then purchased a bus ticket to Spokane. Meanwhile, the Houses had no idea. Dawn House received a call from a friend in Western Washington late on the night Garver escaped. This was the first she was hearing about it, and by then, Garver had enough time to travel to Spokane, the Houses' lawsuit says. Richard House was in the hospital for an unrelated injury, while Dawn House scrambled to take the kids somewhere safe. Taldja Garver says her son briefly stopped at their house before disappearing into the woods. "I was happy to see him," she says. "He was agitated. He'd escaped, and I told him the marshals were looking for him." It took police two days to find Garver. He was hiding in the woods near the Houses' former home, where his parents still live. The escape amplified scrutiny of Western State Hospital, which was already in danger of losing federal funding. Gov. Jay Inslee fired then-CEO Ron Adler following Garver's escape, and ordered a security review by Washington State Department of Corrections officials. That review, which is referenced in the Houses' lawsuit, suggests that Garver was able to unscrew a window lock that was supposed to be fastened with screws that required a special tool to loosen. Some had been replaced with regular Phillips head screws that could be loosened with a thumbnail, the review found. Additionally, the DOC evaluators learned hospital staff had made it clear to leadership that they considered Garver an escape risk. Following his escape, staffers considered Garver "dangerous." But they were instructed to change that designation to "not dangerous," which delayed notification to law enforcement and the media. Western State Hospital staff told the DOC evaluators that "it was common place to refuse forms and not initiate escape notification for patients that were identified as 'dangerous' by ward staff." After Garver's escape, hospital officials said escapes from Western State Hospital were rare, citing only two in the previous seven years. But an investigation by the Associated Press found that 185 patients had escaped or walked away from the facility since 2013. At least five escapees committed new crimes, including assault, while they were out. After Garver's capture, he was brought back into federal court in April 2016 to once again answer for a federal probation violation. "I saw a soullessness inside him. There was an emptiness." Kris Evans, Evans-Lopez's mother, was in the courtroom in Spokane that day with her family. Evans recalls that Garver looked over to one of her daughters and "would not break his stare." "He just stared at her, and I wanted her to leave," she says. "But she wanted to be there for her sister. It was the creepiest thing ever." During that hearing, two psychologists testified about their observations of Garver, who is diagnosed with schizophrenia. They say he has a blunted way of speaking and describe him as impulsive, irritable, aggressive, deceitful and having a lack of remorse for his actions. Both psychologists determined that Garver is competent to face the probation violation, but they disagree whether he's fit to stand trial for murder. Dr. Cynthia Low, who works for the Federal Detention Center in Seattle, describes Garver during her testimony as "anxious every time I saw him, a little bit dysphoric or sad, not suicidal though." She says Garver would frequently say "I'm in deep psychosis," which she says is unusual and suspicious. Ultimately, Low believes Garver is exaggerating his mental illness in order to avoid criminal charges. Dr. Debra Brown, who was hired by Garver's attorney, disagrees. She says the court needs to consider Garver's documented history of mental illness, starting in his early childhood, rather than only the most recent reports. "Mr. [Garver] has been involved in this system for a very, very, very long time," Brown says in court. "And that with all of the accusations and treatment and non-treatment that he has received, the system hasn't done well by him." Garver is currently awaiting trial for the murder charge in the Snohomish County Jail. It's possible that his attorneys will request a competency evaluation ahead of trial. If that happens, it's also possible that Garver would again be found incompetent, which would throw the case back into legal limbo as he receives treatment. "It could take exactly the same track as it did in 2013," says Snohomish County deputy prosecutor Matt Hunter. That means Evans and her family could again be denied substantive answers and closure in Evans-Lopez's death. "She hasn't been forgotten," Evans says. "She was killed years ago, but in terms of the trial, that's a whole other chapter. We've been waiting for years to move on, and until the trial happens, we're not going to get the closure that we need." As for the Houses, they hope their lawsuit will spark change to Western State Hospital's security and notification protocols. But they also want to bring awareness to a flawed system that they believed failed Garver. "He just wanted to be loved and accepted," Dawn House says. "A lot of us have points where we're disappointed with the family that surrounds us, or the school system or maybe the community, but he was disappointed at every level." Still, Dawn House believes Garver is guilty of murder and hopes he's convicted. 1998-'99: Garver, 11, is sent to a behavioral program at a psychiatric hospital in Spokane. His mother reported that he had been abused, beginning when he was 3, and that his stepfather had been rough with him. Oct. 3-17, 2001: Garver, 13, is admitted to a psychiatric ward in Spokane. "Teachers rated him as being out of touch with reality, having strange ideas, babbling to himself and repeating one fact over and over," according to a psychiatrist's courtroom testimony. February 2002: The House family moves to Offmy Lane. By mid-summer, they take Garver into their home. June 2006: Garver's mother, Taldja, confronts her son about cutting the power and security cameras on the Houses' property. He becomes agitated and threatens to kill his mother, stepfather, stepbrother, Dawn House and then himself. He is arrested and charged with harassment. When police find 100 rounds of ammunition in his bag, Garver is charged in federal court. He is not allowed to possess ammo or firearms because of his previous commitment to psychiatric hospitals. July 17, 2006: Garver pleads guilty to felony harassment in Spokane and is sentenced to 42 days in jail. June 2008: Garver is sentenced to 37 months, and three years of probation, for the federal ammo possession charge. During the sentencing hearing, he threatened to kill the prosecutor, the judge and Dawn House. July 2009: Garver is released from federal custody in Victorville, California, and is supposed to take a bus to Spokane and check in for supervised release at Geiger Corrections Center. He never shows. July 4, 2009: The House family arrive home to find police waiting. This is the first time they're told to go into hiding. July 31, 2009: Garver is arrested by U.S. Marshals for violating federal probation. He's sentenced to seven months in custody and another 28 months on probation, including time in a halfway house. April 27, 2010: Garver does not return to the halfway house after a medical appointment. He then leads police on a high-speed chase through Montana, during which he drove the wrong way on Interstate 90, attempted to hit police, sideswiped another vehicle, smashed into a guardrail and fled on foot through a creek. Nov. 22, 2010: Garver is sentenced to four years in prison for the vehicle chase. May 28, 2013: Garver is released from federal prison, but again fails to check in with a probation officer in Washington. June 14, 2013: Garver is seen with Phillipa Evans-Lopez on video at a Lake Stevens McDonald's. It appears as though Evans-Lopez buys him food. June 17, 2013: Evans-Lopez's body is found in her apartment, bound to the bed with electrical cords, stabbed 24 times and her throat slashed. July 2, 2013: Garver is arrested in connection with Evans-Lopez's death. He is found with a laptop that belonged to Evans-Lopez's boyfriend and a blood-stained knife. June 2015: Snohomish County prosecutors drop the murder charge against Garver after he's repeatedly found incompetent to stand trial. Garver is later civilly committed to Western State Hospital. The original print version of this article was headlined "The Kid Next Door"